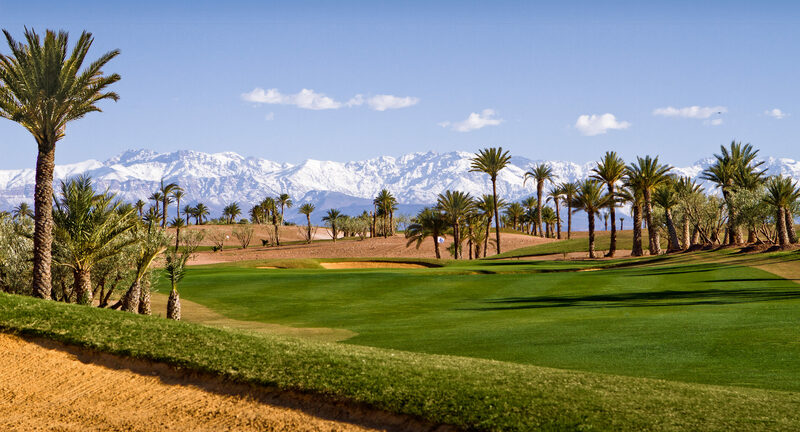 Like many courses in Marrakech, Assoufid is set against the backdrop of the snow-capped Atlas Mountains and the course winds its way through a unique, naturally undulating desert landscape. 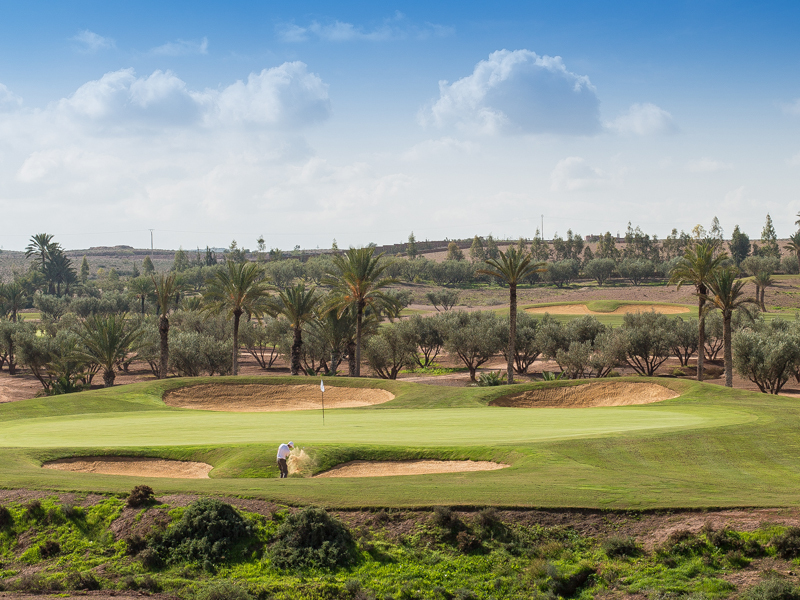 Assoufid Golf Club provides golfers with an exceptional golfing experience that is excitingly diverse and challenging. 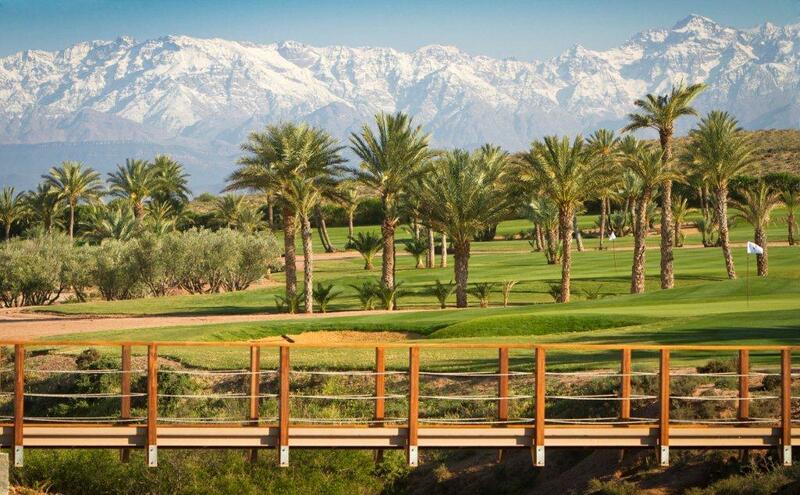 As his first golf course design project, Scottish designer and former European Tour player, Niall Cameron, had the vision to create a desert-style golf course that would look and feel as natural and as integrated into the existing landscape as possible, while maximising the beautiful views of North Africa’s Atlas Mountains to the south. During construction, a significant number of trees found growing on site were retained, and many more have since been planted, including palm trees, cacti and olive trees. 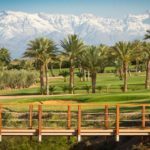 Assoufid is undoubtedly up there as one of the best golf experiences to be enjoyed in Marrakech. 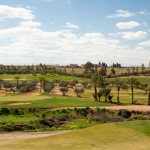 We would say this course is a must visit for a golf tour to Marrakech and a course you will want to play again. A fantastic course with stunning views, rolling fairways and waste land bordering every hole which can be played out of with unpredictable results (avoid if possible!). Dog legs, bunkers, dry rivers and a couple of long par 3’s, this course has it all. Thinking and strategy is required for the best result with some holes having a clear risk/reward layout. The course is well maintained, has a good clubhouse, is in great condition and pays special attention to look after its customers. 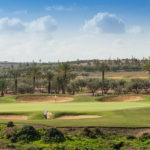 It’s no surprise Assoufid has been a regular winner at the “World Golf Awards” including winning both Morocco’s and Africa’s best golf course in 2016.